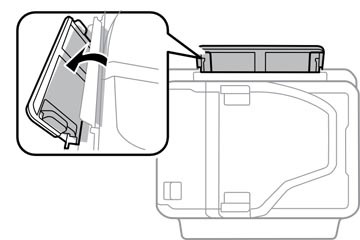 You can load one envelope or one sheet of paper or card stock in the rear feed slot. 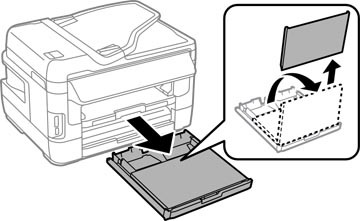 Send your print job before loading paper into the rear feed slot. 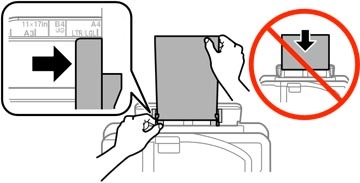 Note: If you are using legal-size or longer paper, do not open the paper stopper. 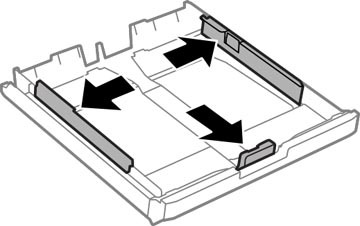 Open the rear paper feed slot and push it back. 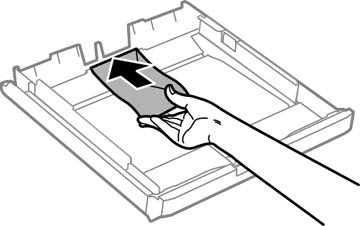 Load one sheet of paper with the printable side faceup and slide the edge guides against the paper, but not too tightly. 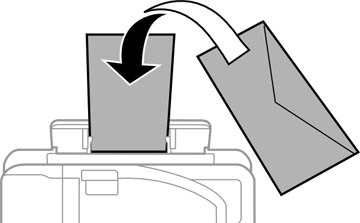 Load one envelope short edge first, with the flap facing down and the flap edge to the right. 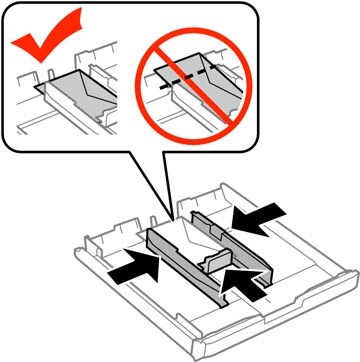 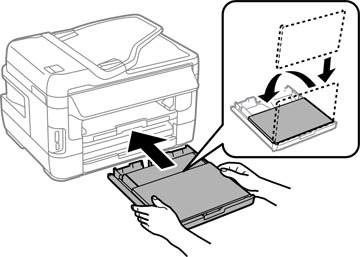 Insert the paper or envelope into the slot until the printer feeds it automatically. 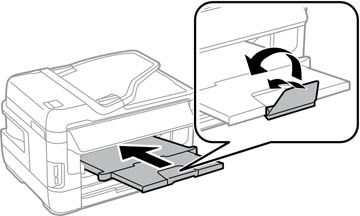 Load only one sheet or one envelope at a time. 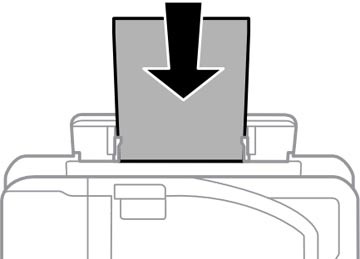 Load the printable side faceup. 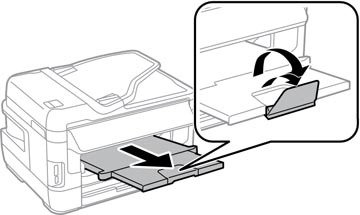 Note: You can load a sheet of binder paper with holes on one of the long edges, but not for automatic 2-sided printing.